PROPERTY ALERT! An opportunity to acquire this 4 bedroom 3 bathroom pool home on the ever so popular community of Bridgewater Crossing. The property benefits from no rear neighbors and has a desirable view to the rear over the community pond. 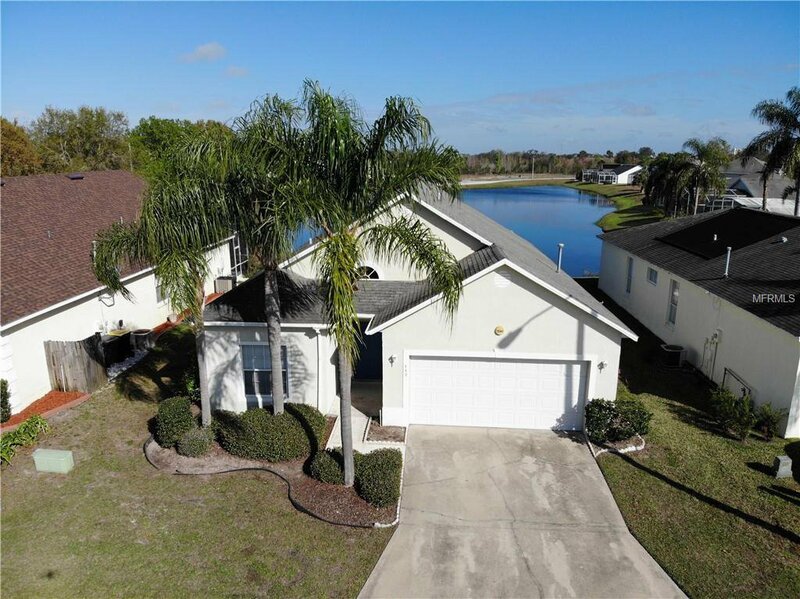 This home would make the perfect family residence or investment property and due to its convenient location offers easy access to all of Floridas attractions. The community boast of some great facilities that include, tennis courts, community pool, volleyball courts and community park. The well appointed floor plan also includes a kitchen breakfast combo, family room and four good sized bedrooms making the property a perfect opportunity to call home. Local to the community is the downtown Champions Gate area that offers local convenience stores, restaurants and shopping and within a few of miles you have access to some great golf courses to use in your spare time. This property has great potential and with its rear view over the community pond has everything you need to indulge in the Florida lifestyle. Listing courtesy of VUE INTERNATIONAL REALTY. Selling Office: COLDWELL BANKER SOLOMON.